Streaming is the biggest and fastest growing recorded music revenue stream, but many songwriters are yet to really feel the benefit. The streaming business is complex and the way song royalties are paid is convoluted. Bad data and inefficient systems could mean your royalties just aren’t getting through. 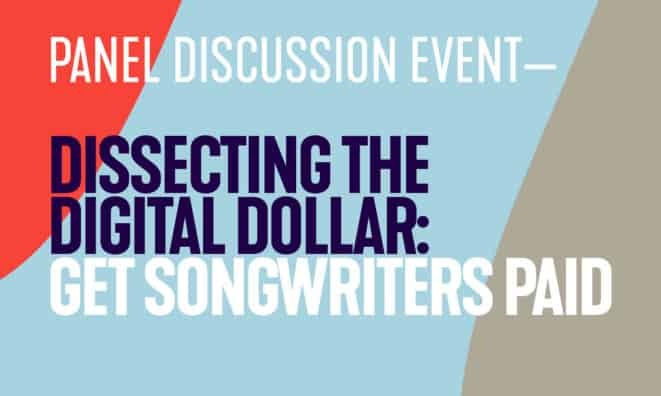 Chris Cooke from CMU Insights previews the latest guide from the MMF’s Dissecting The Digital Dollar series that explains how streaming royalties are processed each month, where money gets blocked or lost in the system, and what songwriters can do to address the issues. After the presentation, a panel of music creators and rights holders will discuss the issues, the ways forward, and the people and companies already working on solutions.